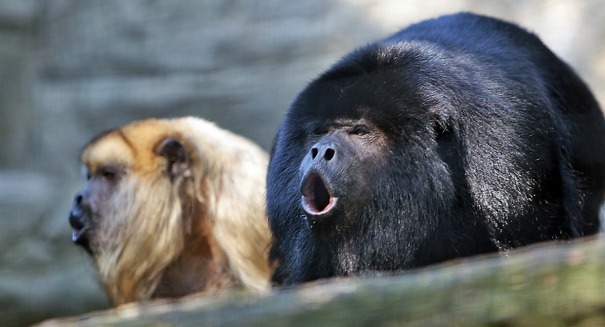 A groundbreaking new study is making a bold claim about monkeys ability to speak, or their lack thereof. In a huge new discovery that could forever change how we understand our own ability to speak, scientists have discovered the monkeys have the vocal anatomy to create words just like humans. They made this discovery while examining macaques, finding that their vocal structure was very similar to humans, according to the study, which was published in the journal Science Advances. The findings suggest that it is not having vocal chords of a certain structure that enables mankind to speak, but rather the ability to control those vocal chords. That flies in the face of previous theories on talking that scientists had held to, and what prompted them to examine monkeys in this way in the first place. It’s a fascinating finding not just for curiosity’s sake, but also because the fact that macaque monkeys have the vocal tract that makes them capable of a spoken language could lead to a better understanding of how we ourselves evolved the ability to speak and communicate with each other, which in turn could result in medical advancements down the road.